I will be participating in the Black Friday and Cyber Monday sale extravaganza. 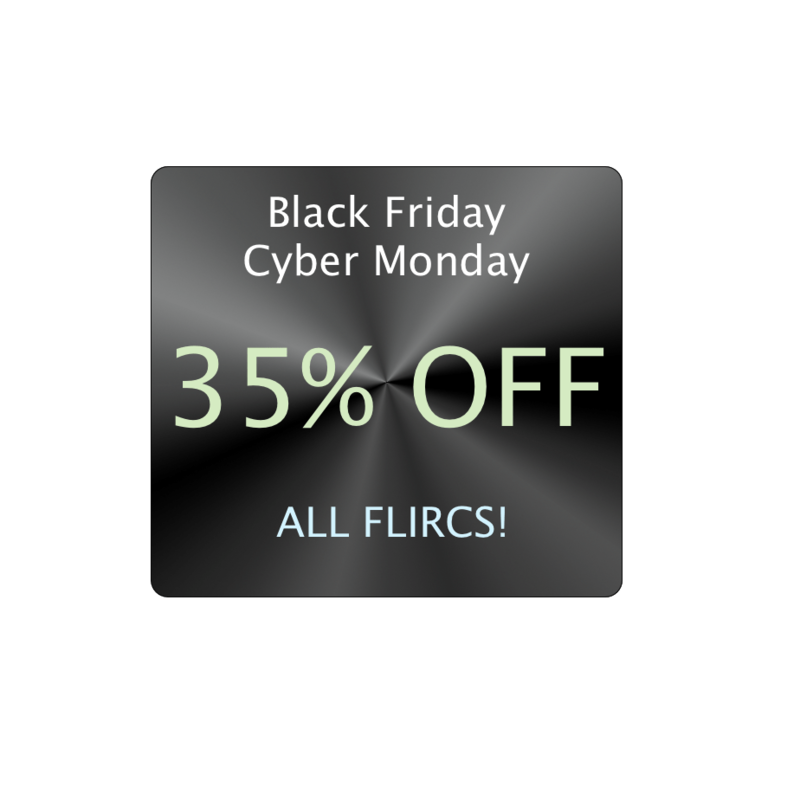 For the entire weekend, from Black Friday to Cyber Monday, Flirc will be 35% off. The price will be 14.99 the entire weekend, and there will be a per person limit. Make sure to tell your friends, I’ll be doing this until supplies last. Happy Thanksgiving to everyone, and my wishes to you guys and your families. I’m happy to announce that we have a new authorized distributor in Switzerland. The Pi-Shop is now carrying Flirc, along with a handful of other great Raspberry Pi accessories. Head over to these guys if you live in Switzerland. Purchase Page Here.